Sports Gaming USA: The Next Big Thing Or Fool's Gold? Massive $400b opportunity on the horizon. Caesar'a Entertainment & MGM jockey for first mover advantage. Insights from an industry insider to filter potential winners. This is the first in a series of interviews with C- level execs, industry insiders and movers, shakers and influencers in the sports gaming. We will be bringing you, in real time, our conversations and analysis of winners and losers in the burgeoning sports gaming industry. The legal sports betting industry is on the verge of a $400 billion explosion following the U.S. Supreme Court ruling on Christie vs. NCAA, opening the door for major gaming and technology companies to develop wagering systems for sports bettors nationwide. Caesars Entertainment Corp. (CZR), the largest U.S. casino operator by properties, has signed wagering deals with the Philadelphia 76ers and the New Jersey Devils. Caesars looks to leverage expertise from its World Series of Poker brand. Mixing it up with the corporate players are entrepreneurs like Anthony Curtis, publisher of Huntington Press and an authority on gambling, having been booted from most Las Vegas casinos for being what they call a “sharpie,” someone who consistently beats the house. “It’s huge, gigantic,” Curtis said about the Supreme Court ruling during an interview with Singular Research at South Point Casino in Las Vegas. Curtis and his business partners are developing Vegas Betting Exchange (VBX-private), a mobile software application that would allow bettors to circumvent the 10 percent commission, known as the “vigorish,” collected by sports books and illegal bookies around the country. It’s a peer-to-peer betting exchange, premised on European exchanges where the action is between consumers. Vegas Betting Exchange would retain 4 percent of the amount wagered – 2 percent from each side – not as vigorous, but as a transaction charge for providing the platform. It still greatly reduces the books’ edge. VBX feels that an initial goal of garnering a 5 percent market share is achievable with an efficient marketing plan and customer-acquisition strategy. While the U.S. Supreme Court ruled in May 2018 to overturn the Professional and Amateur Sports Protection Act (PASPA), essentially allowing states to legalize sports betting, it’s going to be a slow process. Only eight states are currently accepting sports wagers, including Nevada and New Jersey, while about a dozen are introducing legislation with an expected approval time frame of one to two years. 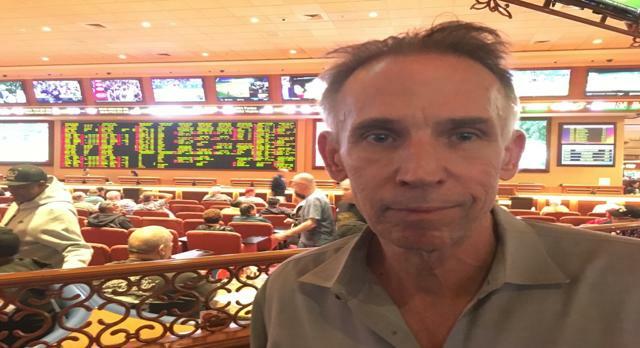 Olaf Vancura, former vice president of game development at Mikohn Gaming and American Gaming Systems, is developing the software for Vegas Betting Exchange. Louis Fenn, who’s worked with startups in California’s “Silicon Valley,” is heading up the financial side. The venture has been self-funded in its early stages. VBX is seeking to raise $1 million in its first round of funding, $20 million in the second round and $100 million-plus in the third round, Curtis said. Market research shows more than $150 billion is wagered illegally in the United States and offshore and several gaming consultants have placed the betting handle above $400 billion when the market is fully mature. Curtis is monitoring progress in California, which could generate more than $2.5 billion in revenue once legalization and mobile capabilities are in place. He believes the betting exchange model will be a “disrupter” in the sports betting industry. Anthony then offered insights from 30,000 feet on major emerging players in sports gaming USA. On Scientific Gaming; “they're doing quite a bit in the sports betting field as far as I can tell. As discussed, Stars Group (TSG) (formerly PokerStars) is probably one to watch, as they've already done it with poker. 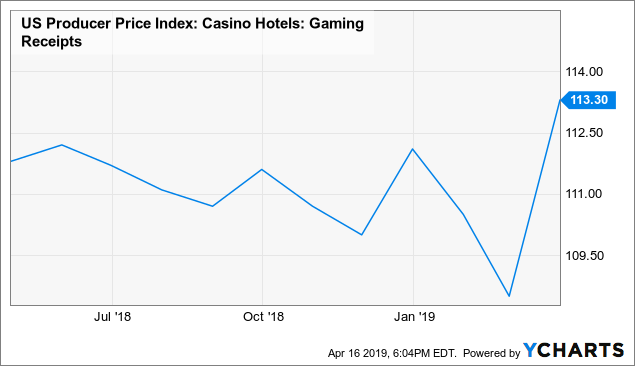 Same with Caesars (CZR) mimicking its World Series of Poker brand, plus it has casinos in lots of states. Of those we didn't discuss, Boyd (BYD) could be an under-the-radar player -- also with lots of locations in different states. Churchill Downs (CHDN) is interesting, but I assume they're mostly horse racing. I doubt that Sands (LVS) will be a significant player given Adelson's dislike of online gaming”. On Draft Kings and Fan Duel “They're both positioned because of their customer lists that were built during the big DFS push of a couple years ago. Also aggressive in deal-making and poised to move into new markets as they open. DraftKings established the Sports Betting National Championship this year, a $10K buy-in contest that was held in New Jersey, which they have designs on making the sports betting equivalent of the World Series of Poker.” Curtis is also bullish on a broadly exposed player in online solutions with some huge contracts with many leaders in sports gaming called Miomni (private UK based company). Miomni delivers the best end-to-end solution in the online gaming industry. It is a veteran in the online space for over 10 years with emphasis in the gaming industry for the last 8 years. It has specialization in all areas of online development and product design, and has built the best-of-breed apps with intuitive user experience and full interactivity.